In an era full of uncertainty, all modern people living in fear desires to have a wise and intelligent mentor. In KBS 2TV Monday and Tuesday drama series Brain, there is such a mentor. He is the specialist neurosurgeon professor Kim Sang Chul who has the absolute support and trust of colleagues, seniors, juniors and patients. The role of Kim Sang Chul is played by skillful actor Jung Jin Young. Although he thinks that Kim Sang Chul is an ideal image of doctor, but is not a saint either. He revealed that current image of Kim Sang Chul will soon change. And the viewers have also aware of the change through trailer. 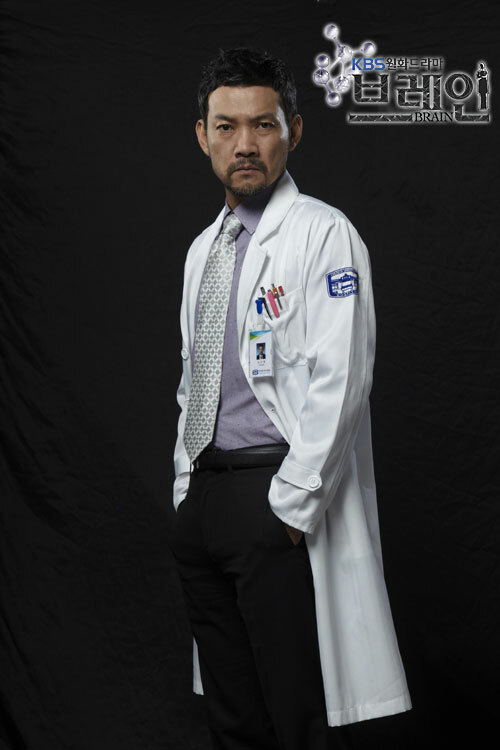 Although is a world’s leading brain expert currently, but Kim Sang Chul used to experience fatal mistake too, and the failure is related to the father of lead character of the drama, Lee Kang Hoon (played by Shin Ha Kyun). So, is Jung Jin Young a good mentor commendable by juniors in daily life? “Brain” depicts the story of gradual growth of Lee Kang Hoon during the process of confrontation with Kim Sang Chul. Jung Jin Young believed that to Lee Kang Hoon, Kim Sang Chul is an enemy with endless changes who stimulating him to growth. For TV shows, movies and program host, Jung Jin Young has his own views.